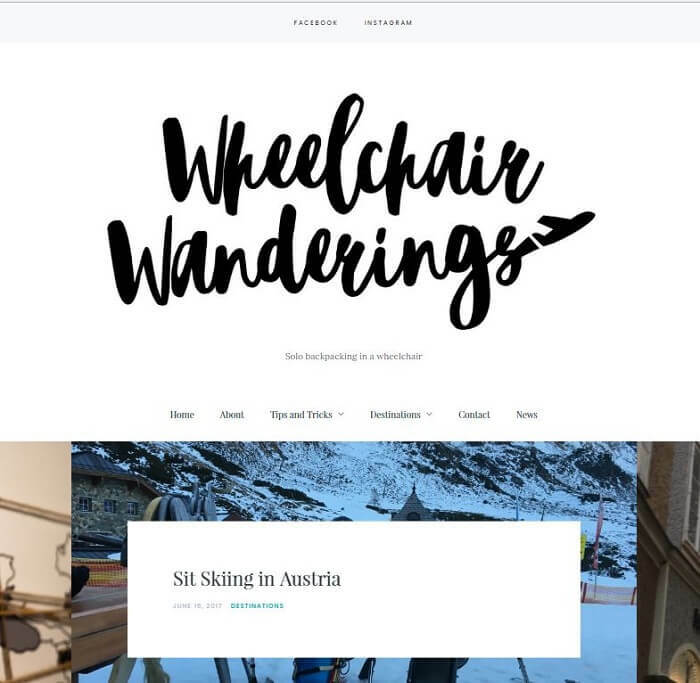 ​Stop worrying about wheelchair accessibility when you travel, as these wheelchair travel bloggers have provided helpful resources from their own experiences. They have proven that the world is too beautiful not to miss. These amazing people made places that seem impossible accessible. Whether your plan is to discover new possibilities, meet new friends, or just to enjoy being alive, travelling in a wheelchair will become stress-free as you follow the adventures of these bloggers and lern from their wheelchair travel tips. This blog is a husband and wife team that provides plenty of information on wheelchair accessibility while travelling in an RV. Their love for travelling and discovering the world didn’t stop even when Karen had an accident and had to use a wheelchair permanently. The RV was changed to a handicapped motorhome and just continued their travels. The interactive maps they have on their website make it easy to browse through and get the travel guides for a specific state location. 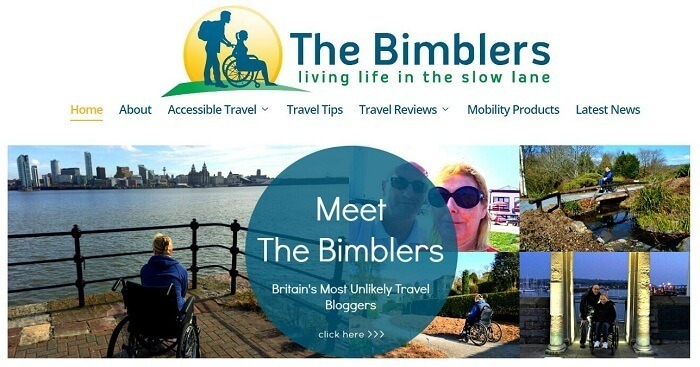 John Morris, creator of wheelchairtravel, blogs with great detail on his experiences travelling to different places with his wheelchair. He shares his tips and reviews on airport accessibility, public transportation, hotels, and the tourist destinations. His travel planning guides would make you enjoy travelling without much worrying. Rob and Bridget’s great passion for travel make accessible tourism possible with their own adventures. They have thorough reviews of hotels, holiday locations, and even provide travel tips and resources. You would love their photos that capture the needed information for your accessible holidays. Cory Lee has been to several countries around the world discovering new places and sharing his experiences in his blog. From caves, deserts, to the Amazon forest, his adventures inspires people with disability to venture out of their comfort zones. He has a segment that interviews other people in wheelchair as well. Martin has proved that even with disability, he was able to enjoy his travels and its adventures, such as skiing and scuba diving. 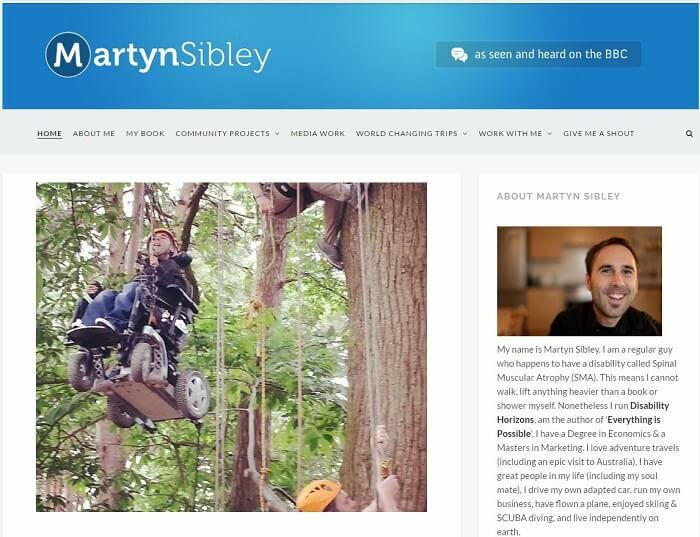 He is ranking 3rd of Britain’s world most influential person with disability. Aside from inspiring the world of his trips, he is also the CEO and Co-Founder Disability Horizons and Disability United in UK. He writes not only about travel but also about life, and healthy living. Julie has proven that her son, BJ, can experience all the beauties of life while travelling on a wheelchair. The whole family’s dedication to overcome travel obstacles has made travelling with disability achievable. Their detailed information on accessibility around Australia and America will serve as your inspiration in choosing your next destination. 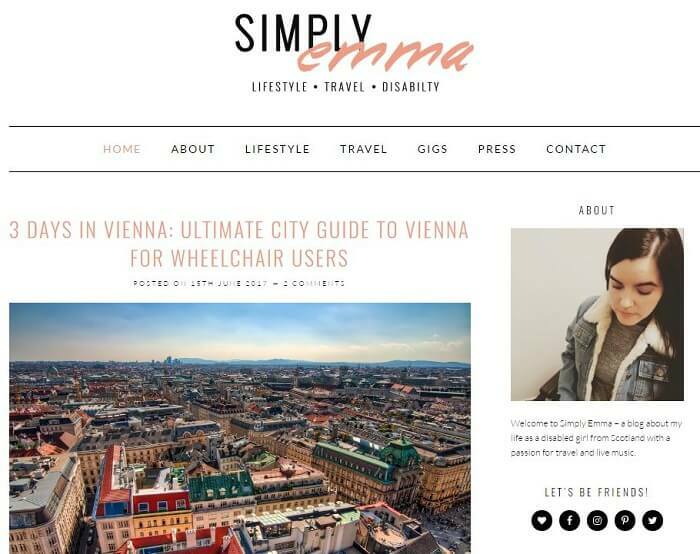 Emma has dedicated herself to helping future travellers on wheelchair enjoy their vacations stress-free. 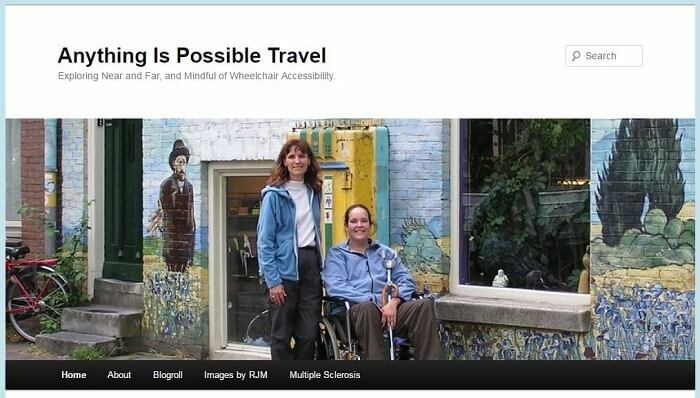 She has fantastic guides and tips on wheelchair transportation, hotel accessibility, and local attraction exploration. Her stunning photos and reliable travelling tips would make you want to jump in to travelling. 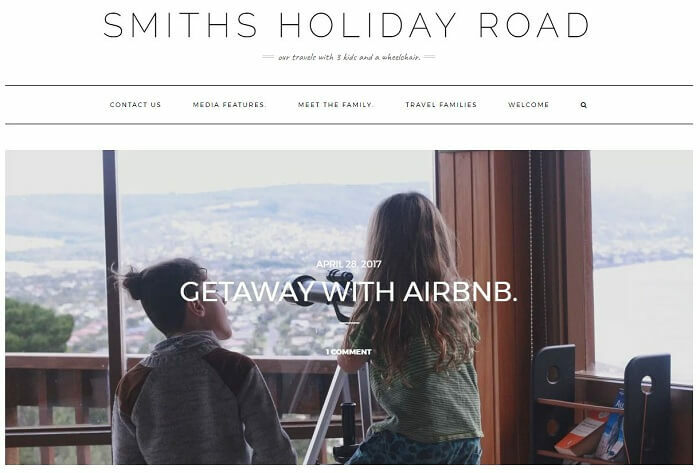 The Smiths have made travelling with kids, and a wheelchair, fun and effortless. 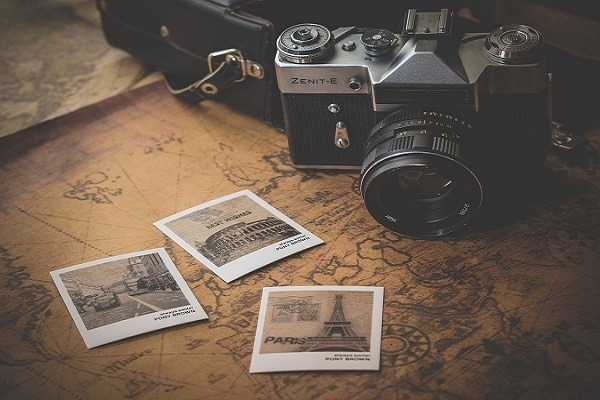 They provide a great resource for travel planning by sharing their experiences and tips going to wonderful places. 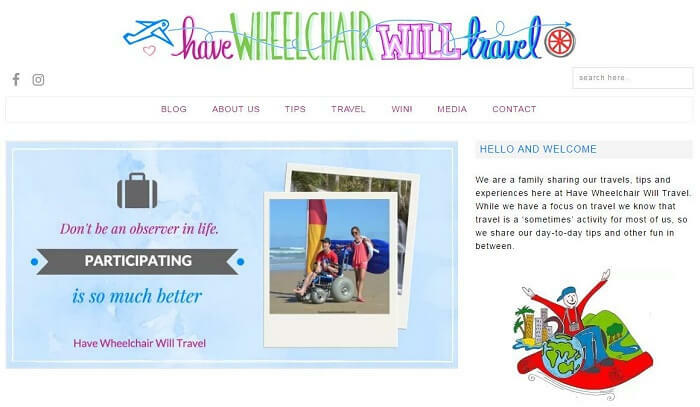 Discover wheelchair and family- friendly destinations and look out for their helpful advices. Check out their website to learn more about the adventures of Andrew, Bron, Cooper, Pepper, and Elwood. This blog is a mother and daughter tandem on conquering any difficulties with travelling. Their photo images are incredible and it already would tell stories of their adventures. You can tell from their posts that Jeri and Carrieanna savours each destination that they go to. Jay has a collection of amazing photos of her travels, and shares her experiences in her unique and personable style. 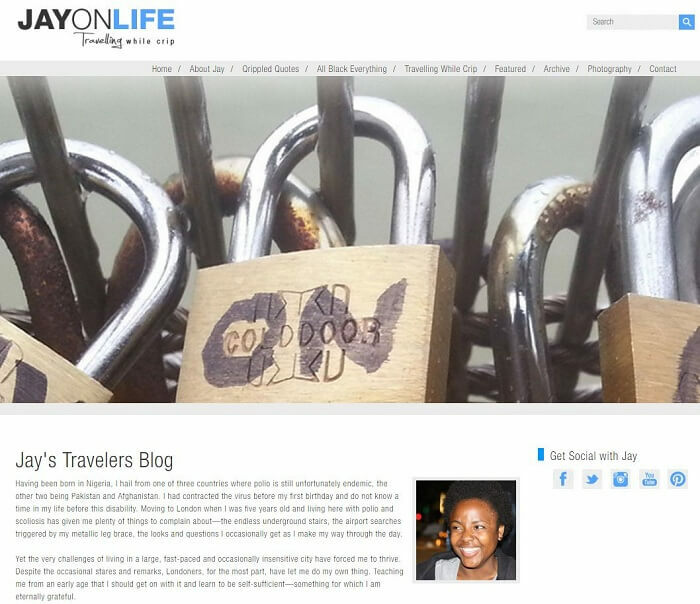 Her blog has enabled her to meet new friends while exploring the world. It is packed with useful tips, especially on hotel and transport accessibility. A solo backpacker, Caitlin has explored different countries in Europe in her wheelchair. The stories are personal and very helpful as she puts in every detail of her experiences. 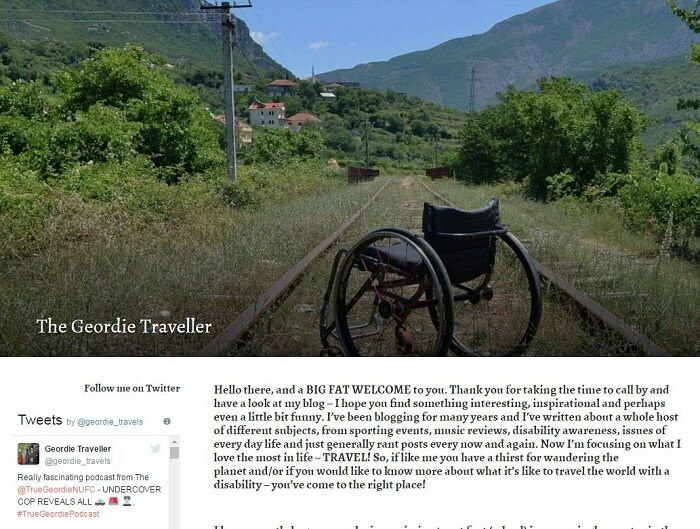 Definitely she removes the stigma of travelling solo in a wheelchair. His mission is to be the first wheelchair user to visit every country in the world. Not only will his readers be equipped with details of accessibility, William also shares life experiences, whether good or not so good, on his travels. His writing skills and amazing photos will make you entertained and tempted to go see the world.